Donald Trump called it the Eighth Wonder of the World. Now it's just another failed Atlantic City casino. The Trump Taj Mahal finally closed its doors just before 6 a.m. Monday. The last guests at the hotel checked out on Sunday, and some of the last gamblers at the casino were cashing in their chips while its namesake was debating Hillary Clinton, facing his own increasingly long odds. Trump himself no longer owned anything more than the name attached to the Taj's grandiose neon minarets. In its last days, the casino was controlled by the financier Carl Icahn. Icahn called it a "sad day for Atlantic City" and for the 3,000 workers at the Taj. But he said he couldn't reach an agreement with striking union workers and could no longer run the casino without hemorrhaging money. The union, representing about 1,000 of the Taj's workers, reached deals with four other casinos in the city just before the Independence Day weekend, including another casino owned by Icahn. But Taj workers went on strike July 1. "Despite our best efforts, which included losing almost $350 million over just a few short years, we were unable to save the Taj Mahal," Icahn said in a statement Monday. 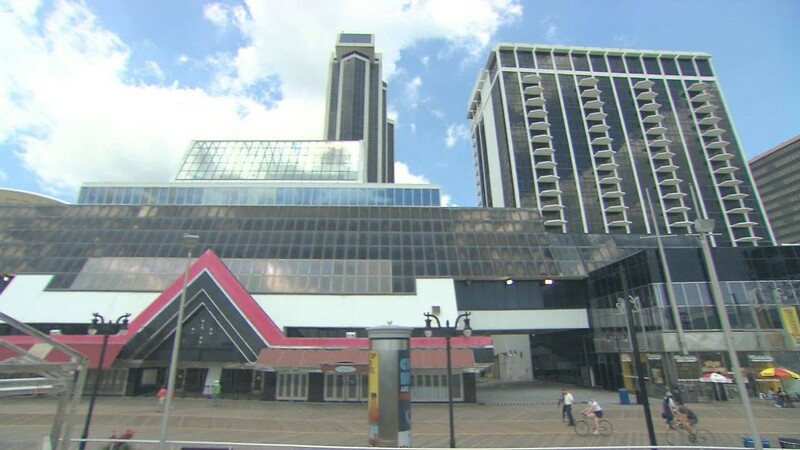 The Trump Taj Mahal had been in trouble for years, along with the rest of cash-strapped Atlantic City, where five casinos have closed since 2014, including Trump Plaza. Of the seven that remain, two, Bally's and Caesar's, have filed for Chapter 11 bankruptcy protection. The Taj opened in April 1990 and had financial problems almost immediately, according to an analysis by CNN of documents Trump filed with state gaming authorities. Trump financed it with junk bonds and could not cover their payments with profits from the gaming operations. On four of the Taj's first 16 days of operation, its bank account contained less than $0, with deficits as deep as $1.7 million, according to a New Jersey Division of Gaming Enforcement report from 1990. The state approved a $65 million bailout in 1990 because of fears that closing it would cripple the Atlantic City economy. The Taj filed for bankruptcy the next year, allowing it to shed hundreds of millions in debt. It was the first of four trips through bankruptcy court for Trump's casino operations. Even after reorganization, the Taj continued to struggle with debt payments, posting net losses of $121 million between 1992 and 1995, according to company filings with the SEC. The company turned an operating profit all four years but ended up in the red because of interest payments. The Taj was included in bankruptcy filings in 2004 and again in 2009. Trump gave up his CEO position in the 2004 bankruptcy. He unloaded the casino in the 2009 reorganization but continued to lease his name to Trump Entertainment Resorts, the company that ran the Taj and Trump Plaza. And Trump, the man, eventually sued Trump, the company, to try to take his name off the casinos. He complained in his lawsuit that the Taj and Trump Plaza had been allowed "to fall into an utter state of disrepair" and were unworthy of his "superior reputation." "We have a very high standard," Trump told CNNMoney in 2014. "And they didn't meet it."